Melbourne [Australia], Mar 07 (ANI): Darren Lehmann has been confirmed as the new head coach of the Brisbane Heat for the upcoming season of Big Bash. Melbourne [Australia], Sep 15 (ANI): Cricket Australia is set to investigate the allegations of racial abuse levelled on an unidentified Australian player by England all-rounder Moeen Ali. Melbourne [Australia], May 7 (ANI): Dr Bob Every AO has resigned from his position in the Cricket Australia (CA), after serving the board for almost three years. Canberra [Australia], May 06 (ANI): Former Australia men's cricket coach Darren Lehmann has revealed that he worries daily about the banned cricketers Steve Smith, David Warner and Cameron Bancroft. Sydney [Australia], May 05 (ANI): Australia's sacked vice-captain David Warner on Saturday said that he has "learned a valuable lesson" after the ball-tampering scandal in South Africa earlier in March. Canberra [Australia], May 3 (ANI): Cricket Australia on Thursday appointed former Australian cricketer Justin Langer as the new Head Coach of the Australian Men's Cricket Team. Melbourne [Australia], April 20 (ANI): Few weeks after Darren Lehmann stepped down as the coach of the Australian men's cricket team, Cricket Australia has confirmed that that the post would be filled in coming weeks. Melbourne [Australia], Mar. 31 (ANI): Breaking silence over his role in the ball-tampering crisis, former Australia vice-captain David Warner apologised for betraying the people who supported him in his "journey as a cricketer". Johannesburg [South Africa], March 29 (ANI): Cricket Australia chief James Sutherland on Thursday said that he will not resign in the wake of the ball tampering incident that has shaken the Australian cricket. Sydney [Australia], March 29 (ANI): Darren Lehmann has announced his resignation as head coach of Australia in the aftermath of the ball-tampering scandal that sent shock waves across global cricket. 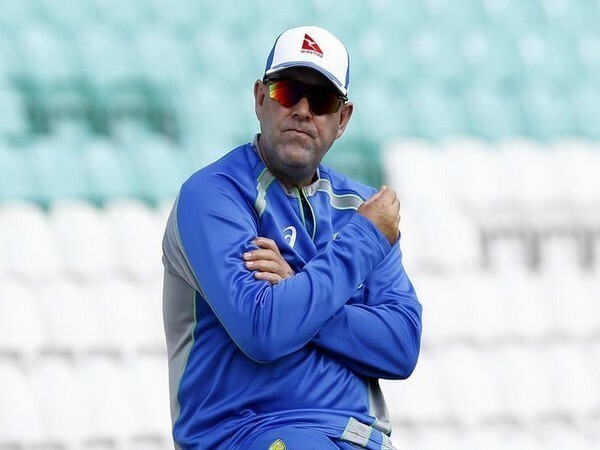 Melbourne [Australia], March 29 (ANI): Australian head coach Darren Lehmann has finally broken his silence on the massive ball-tampering scandal, saying that he and his entire cricket team have to change their culture and need to learn from New Zealand the way they play cricket.